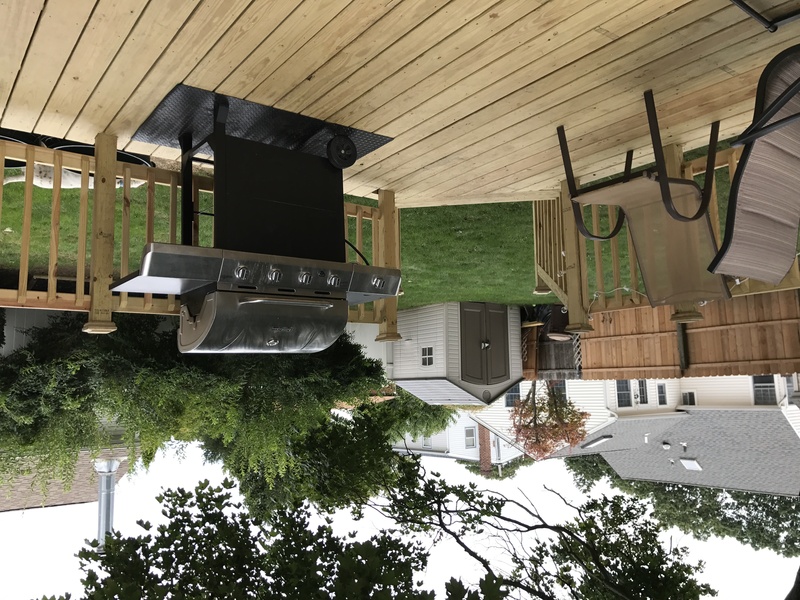 Some deck owners are under the false impression that “pressure treated” means the wood has already been treated from the weather. The truth is that the chemical treatment added to pine is to deter bugs and insects from eating the wood. There is no water repellency or sun blocking treatment in the wood whatsoever. So let’s be clear, new pressure treated decks still need to be treated with a water repellant wood stain. Staining a new deck is much different than staining an old deck. Older wood is drier and very porous. It will absorb most any type of wood stain and be adequately protected. 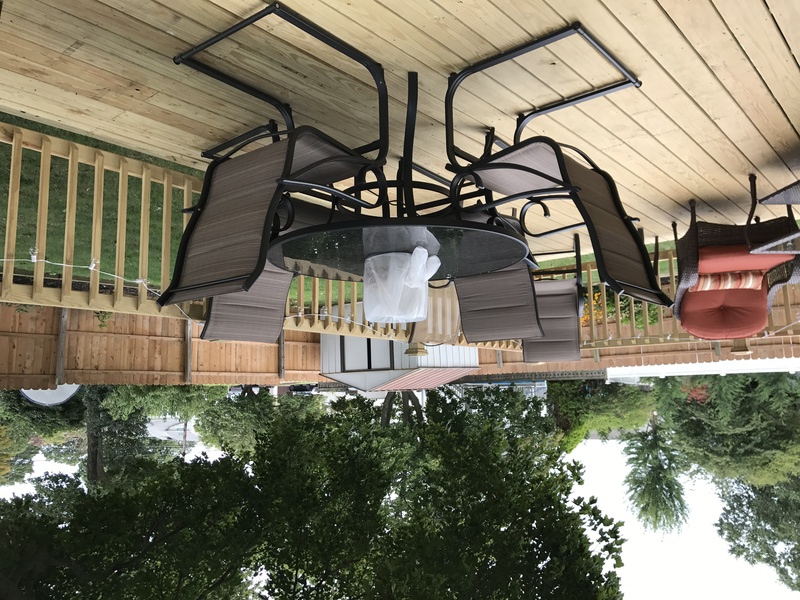 New pressure treated pine, on the other hand, has higher moisture content and therefore is much denser making deck stain penetration more difficult. You want to allow a newer deck to age because initially, the moisture content is entirely too high. Trapping moisture in the wood by staining it too soon is not good. Once the deck has dried for 3-6 months and has a moisture content of 12% or less, it is ready for stain. Even new decks need to be cleaned. During the aging process, some dirt and contaminants will embed into the wood. There may also be some mill glaze present that could keep a new deck stain from penetrating. Wash the new pine wood deck with a good deck cleaner and allow it to dry. When looking for the best stain on new pressure treated decks choose a formula that is specifically designed to penetrate the dense surface such as the exotic hardwood stains. The new pressure treated deck stain needs to penetrate well to be effective. A stain that lacks in performance will remain on the surface and will be prone to peeling. New wood can stay looking new with a little care and regular maintenance. Clean the wood as needed and apply a quality pressure treated deck stain that can penetrate the new dense wood. This will guarantee increased effectiveness and outstanding protection for your new deck. 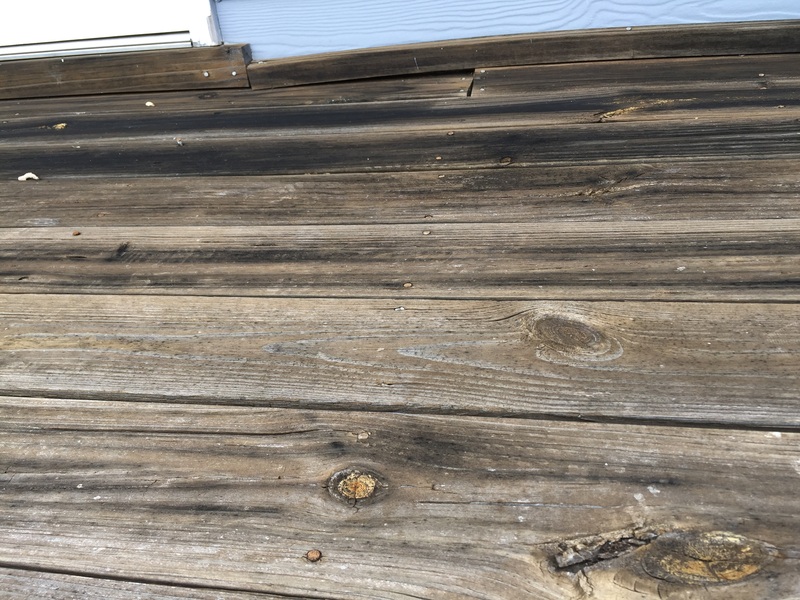 On a deck that is a few years old do we use oil base stain or water base stain? 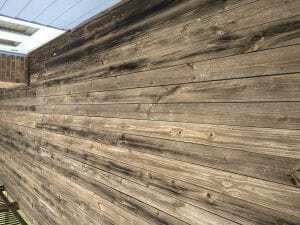 What is the best sealer for a new pressure treated wood deck? We get sun all afternoon. A friend told me TWP is good but I’m so confused as there are so many on the market. I also want to keep it to the natural wood color. Suggestions? After the wait of 4-12 months and prep, try the TWP stains. 100 or 1500 Series. 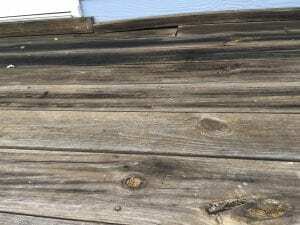 What is the best way to remove pine tar from a deck prior to treating it with a stain? I had a new PTP deck installed approx. 7 months ago. Approx. one month ago two boards were sanded down level with the other boards bc they had warped/risen up higher than the other boards on deck. I live in the NC mountains and have lots of shade and rain. How long should I wait for those two boards to weather before I stain, and what stain do you recommend for my climate? Also, what deck cleaner/brightener set do you recommend, if any, to use? One last question…what is the best method to get rid of those dang wood stamps? Thank you so much, this is a very helpful site! Thank you for your quick reply, but since I didn’t sand the stamps when first installed, do you think one month is long enough to wait before staining for 1st time (deck is @ 7 months old)? Do you think TWP 100 (one coat) & restore a deck cleaner/brightener would be best for my deck in NC mtns (shade rain, mold? If not, any recommendations? Sand the stamps now and then wait a month before prep and stain. TWP and the RAD will work well. I had a new large deck built a few weeks ago. The contractor used Weathershield pressure-treated boards which is advertised to have a factory applied water repellent coating that is supposed to last more than a year. Water beads on it like on a freshly waxed car. I want to apply a stain to darken the color. Will I have to wait for water to stop beading? We just had a pine pressure-treated perimeter fence put up about a month ago. The installers said to wait about 2 weeks before staining. Reading some of these other comments though, should we wait another couple of months? It is a 3 board with goat panels between posts. Any recommendations on how to stain it, when to do it, and a good product to use? Thanks!!! If rough sawn wood, do it now. If smooth wood, wait a few months, prep, then stain. I just installed a pressure treated deck (hemlock). We live in WA. the deck is elevated and faces north. So it is hot in the summer and cold, wet and mossy in the winter. Our lumber folks recommended an oil based stain. After the weathering and prep, try the Armstrong Clark wood stain. We have just installed a new deck and handicap ramp. It was done last week in July and our weather has been nothing but rain for two weeks. With Fall coming up and if I have to wait 3 to 6 months for the wood to dry, it will be November before we can use Thompson’s stain on it. Will the wood be harmed if I wait that long? Use the TWP 100 Series or the Restore A Deck Wood stains for this deck in MO. Will semi-transparent water based stains penetrate pressure treated wood? Or should oil only be used on pressure treated wood? Have you heard of Thompsonized wood which has a water repellent embedded in it? That is what I am worried about. What if you apply a water based stain to a pressure treated deck that is Thompsonized or Wolmanized etc.? Might not penetrate. No, that is not an issue. Those are internal treatments to help with rot and decay. They have no effect on a stain’s ability to penetrate. I just had a new fence put up and love the natural look of the wood. The installer said to wait 2 months but it looks like you say longer … I want to use clear. How do I prep and do I seal or just stain?? You mention waiting 3-6 months for treated wood to dry. I am putting up a dock which is frequently under water. Building it and wait in for the wood to dry is not and option, what can I do? I am sorry but you do not have a choice but to wait and prep. For a new pressure treated pine deck 3 months minimum before staining even in the Texas summer heat? Also when staining the first time are 2 coats better than 1 coat? If so what are the substantial benefits of the 2nd coat? Yes that is correct. Just one coat the first time staining. I just put up a 6×6 pressure treated pine post as a support on the corner of my front porch. We live in central PA and the post gets sun in the morning/early afternoon. It is exposed to rain, snow, etc. How long should I wait to stain & seal? Also, what product would you receommend? Thanks in advance for the advice!! Wait the 3 months and then prep. Stain with TWP 1500 or Restore A Deck Wood Stain. Hi We’ve just put a new brown pressure treated deck on our house. My initial reaction was to get something on it right away but I am reading otherwise. Is the best thing to wait until next summer to do anything? There are green patches and some green goo on parts of the boards do you leave that for now? sand or wash it off? We also put a pergola type structure above it and the larger boards have perforations or little indents is it a bad idea to sand them or what do people do? Someone at the Benjamin Moore retailer recommended something called Pressure Plus and sanding before but now I am second guessing his advice. Thanks!!! Try Defy Extreme in Butternut. Hi, thanks for this site… lots of great stuff here. I did a PT pine deck last July and want to stain in the next month. Would you recommend TWP or Armstrong Clark? I’m in New England with snowy winters and hot summers, and the deck gets full afternoon sunlight year round. I’ll clean and prep the wood ahead of staining with either brand’s recommended method. Anything else I should be thinking about? Actually, either would work very well for you now and when it is time to redo. Your plan sounds good. I live in Central Florida, and I just built one mont ago a Southern Pine 30 by 14 deck out of DSS pressure-treated lumber. After 2 weeks the lumber seems to be completely dry, and the supplier said to seal the deck immediately, and he is going to replace 20% of the boards. My question is, should I go ahead and treat the entire deck and seal it, then have the replacement boards put in after that sealant dries? Then I can go over and restain just the boards that are new once they are dry? Or is there a possibility the old stained and sealed boards will react with the new still drying treated boards that are alongside of them? Your supplier is wrong about staining right away. Always follow the directions of the stain brand you are using when it comes to new wood and applying their stain. Waiting 3-4 months of natural weathering is normal and prepping with a cleaner is required after the wait. Best to replace the wood now, wait the required time, prep, and then stain. I built a pressure treated pine deck about 1 1/2 years ago. I never stained it or treated it. I have now added onto it and would like to stain the whole thing. I am assuming I need to let the new one age and dry before I stain but how long? When I go to stain both, will they look the same? The older one has already grayed. Age for 3-4 months, clean and brighten all after, stain with a TWP or Armstrong Clark. Colors betwen the wood will be close. I’m in Raleigh, NC and have a treated pine deck about 9 months old that I did not have a chance to stain before now. What should my next steps be? And what is the best transparent/semi-transparent stain? Maybe TWP 100 or Restore-A-Deck Wood Stain for this deck in NC. I am going to stain a new PTP deck that I built 9 months ago. I read your tip on not sanding, but I am going to use a floor sander to level out the boards. This deck is covered and will be screened in after staining. Since I am sanding, will I need to wait longer before staining? I am going to use TWP 100. After sanding, wait a month and then lightly clean and brighten for prep. Make sure to not sand with a grit finer than 60-80 grit. I am from Western PA with a new deck 9 months ago. I do not want to let the beck turn grey, however I want to be able to see the natural grain while still protecting the deck from the UV and weather. What would you suggest? Installed new Pressure Treated Pine deck in Sept 2017. Deck is in Western PA, full sun and weather exposure. I am looking for a product to waterproof, yet allow the material to develop a natural grey. Suggestions? Defy Extreme Clear or TWP 1500 Clear. Will seal and protect but gray naturally. Wait about 3 months after install and then stain. Look at Armstrong Clark or Restore-A-Deck Stain. You cannot prestain brand new wood. Will not soak in correctly and will fail on smooth decking boards. what stain would you suggest using? We also would like something that could give it some color. After the wait and prep, try the Armstrong Clark or the Restore-A-Deck Stains. Peter, you cannot apply a clear deck sealer/oil over top of a stain. I have a new pressure-treated pine deck (installed ~9 mos ago) and pergola (installed ~4 mos ago). We are located in Upstate South Carolina. Gets full afternoon sun. What prep and stain would you recommend? Prep with a deck cleaner and wood brightener. Use the Restore A Deck Kits. For the stain, try TWP 100 Series or the Defy Extreme. The deck is in North Georgia. 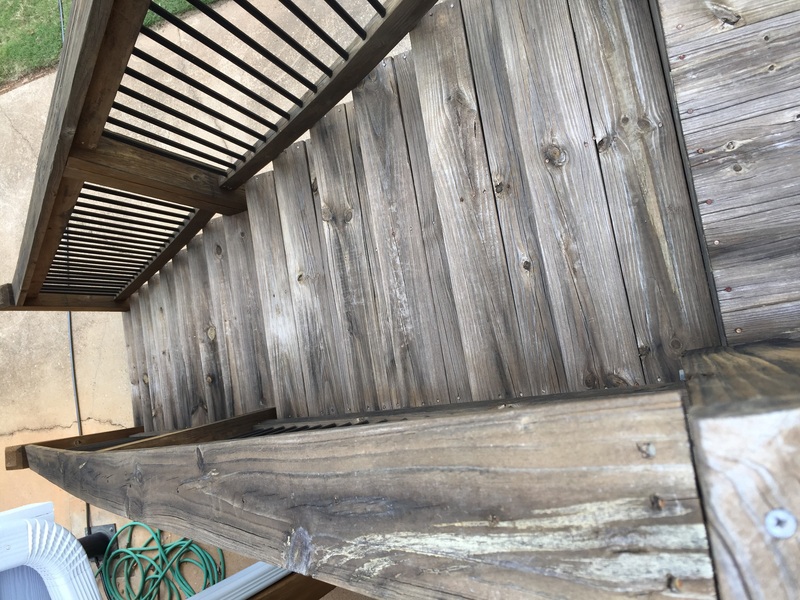 I’ve stained a pressure treated pine deck and stairs about 2.5 years ago with TWP. It is weathered worn and grey appearing. The handrails are warping, nails popping. (I didn’t know to stain it until 2.0 yrs after it was installed.) In it’s present state; is it salvageable? —should I use stripper and brightener or cleaner and brightener? Yes you can salvage this. Prep with the Gemini Restore Kit and restain with the TWP. I live in Colorado Springs and just built a pressure treated pine deck its getting into the colder months and I’m cautious on sealing my new deck too soon…any advice? FYI water does not bead on the deck boards so I’m assuming its ready to accept a stain/seal. Also, we get extreme temperature variations daily throughout the winter months. My worry is with snow coming in for the next 4-5 months. If I wait, will the wood be destroyed? On the other hand, is patience a virtue? We would wait. Prep in Spring and stai then. 1. New pressure treated SYP fence. Installed 4 months ago. Western South Carolina – humid weather just ended about a week ago. Reckon it’s dry enough to stain? If not, when do you think? 2. Carefully, with wide fan and distance from fence, I plan to pressure wash. Will spot check first to see I’m not hurting the wood. Are there specific cleaners you recommend, to mix in the pressure washer? 3. Assuming no rain after I clean the fence, how long should I wait from when I finish washing to start staining? 4. Plan to use Sherwin Williams waterborne solid stain. Lots of pigment to sit in the wood, and product improvements to get stain to penetrate. In fact, this stuff penetrates so well, SW told me they plan to phase out their oil based stains. Do you recommend two coats? SW did, but I didn’t ask them about 2nd coat timing. If so, how long should I wait between coats? I read somewhere to wait 12 months, so that the 2nd coat has a place to go other than just sitting on the surface. 1. Should be good to go. 2. Deck cleaners will not mix into pressure washers. Use the Restore A Deck producst for the prep. 4. I would do what they suggest for the coats. 1. Do I even need Restore A Deck since the fence is fairly new and I’ll pressure wash? 2. Is there any other cleaner that you would recommend, or is RAD clearly the best? Since it has been 4 months the wood has most likely started to oxidize and that should be removed first. You can use other cleaners but make sure they are not bleach based and you brighten after. BTW, I’ve decided to go with an Armstrong Clark semi-transparent. You think 1 coat will do? Their site says 2 coats if 1st is absorbed w/in 30 minutes. Bleach harms the wood and destroys the lignin. Bad for wood. Hard to say if you will need 1 or 2 coats. Plan on 2 to be safe. The Deck Revive by Gulf does seem to work correctly. I have a pressure treated deck (50×12) that it about a year old. Can i treat it with any of the “deck over” products? I really don’t want to retreat it every couple years. I used sikkens cedar stain on pine siding and let it go too long before redcoats. The wood got sun damaged ,is there anything I can do to make it look nice again? Strip and brighen for the prep. Stain with TWP 1500 Series or Armstrong Clark. I want to use a solid color on a new pine deck because other wooden areas have this color. When can this be done and what prep is needed? Depends on the brand but normally after a few months. Cleaner and wood brightener for the prep. I stained my new deck with TWP Cedar Tone after waiting three months for drying time. I have a 4×12 ft area that is lighter than the rest of the deck. It’s been three weeks since application. Can I re-apply stain in order to darken this section? It will most likely not take now. It would be better to leave as is until next Spring. Lightly wash and apply another coat of the same color. I have a treated pine deck and some of the wood has a yellow and teal green color going through it I was wondering what color stain will counter the hint of yellow and teal that’s in the treated deck boards. Plus there is a roof system on the deck with pieces of plexiglass on the roof but the roof system is built out of regular pine boards, do you have any idea what I could get that would match the treated boards? You cannot really counter colors that are internal. The stains typically enhance the natural grain. I would suggest trying a few stain samples to see what works for you on this. Are you an independent reviewing organization or is this web site affiliated with the company that manufactures TWP Stains and Armstrong Clark? TWP and AC are made by different companies and they are not affiliated. Does treated pine wood turn grey? And if so, how long doors it take? All exterior wood oxidizes and grays from the sun. How long depends on your UV exposure. I have two questions that hopefully you can help me with. I had a deck built that is less than a year old. The deck is pressure treated pine, I allowed it to dry out and I stained/sealed it with Thompsons. This sealer must be the worst sealer in the history of sealers. What is the best way to remove the previous sealer and recoat? What seal do you recommend? The deck is currently a semi transparent Acorn Brown color. Any color similar would be perfect! I live in West Central Florida. The humidity is high, it rains nearly everyday in the summer, and when it’s not raining it is extremely hot! My second question is regarding a fence that I recently had installed. Pressure treated pine, board on board. The fence was $5,000 so I am looking for best weatherproofing sealer I can put on. We like the look of the natural pine so a transparent sealer would be ideal or any sealers that bring out the colors to be more vibrant are also okay. Thank you kindly for your assistance. Remove with the Restore A Deck Stripper/Brightener kit and pressure washing. Not sure on that color but look at Armstrong Clark stains for both the fence and the deck. TWP 115 Honeytone or Armstrong Clark in Natural. I have a cottage in which I just built a large wrap around deck. I’m located in New Brunswick, Canada, and directly on the ocean. The salt, high humidity, and temperature extremes convern me. I’m wanting to protect the deck so it lasts, but the appearance is somewhat secondary as I don’t mind it graying. I was going to do a Thompson water seal, but the reviews here have made me second guess this. Can you recommend a product? If you want it to gray naturally, try the Defy Extreme Clear. If you want a semi-transparent stain, try Armstrong Clark. I just has a treated pine deck with 2*6 boards installed. What would be the best stain to use to keep the grain and have the redwood or mahogany look in Houston, TX. Hot and Humid climate. Western PA here. I’ve used Restore Deck StainX2 the past 2 yrs. We’re not pleased with this product. It needs done every year. I’ve power washed, scrapped, and sanded the bad areas. Is there anything out there that will cover or go over the Restore. 1500 sq. ft. deck that I don’t want to strip the whole thing. Thanks. I have a 20 year old, 2,000+ SQ ft. pressure treated lumber deck in Central Oklahoma that we have been treating with Cabot Semi-Solid (New Redwood) every 3-5 years. I have just ordered the RAD stripper/brightener to attempt removing the old, worn, Cabot stain. I keep reading unfavorable reviews about Cabot’s new formulas, so I was planning to use TWP 100 on it after reading many of your articles and comments, but want advice as to whether another brand/series would be better considering the age of the deck and climate. The deck runs along the the east side of our house and is exposed to sun most of the day. We have hot summers with high humidity and can have a lot of rain in the spring/fall with occasional snow/ice and lots of wind in winter. You had recommended the Armstrong Clark or Defy Extreme to a question from south Texas. What would be your stain product recommendations for a the longest lasting, best protection, and simplest maintenance? Corey, you may need to strip and sand some to remove all. I think you would be fine with the TWP 100 Series for this. You will need two coats applied wet on wet. The other option would be the Armstrong Clark in a semi-solid color. Little longer UV protection. Sequoia color by AC would be similar to the New Redwood. I live in Indiana and I have a 10 deck with treated lumber. I’ve cleaned it extensively and am ready to stain. What would recommend? I’ve heard too many horror stories regarding deck restore products. I want something that will last and easy to maintain over the next few years. Look at the TWP 1500 or the Armstrong Clark stains. 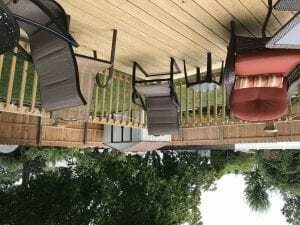 I am in South Texas with extreme heat and humidity, I have a wood deck that is approx. 7 years of age that has never been stained but it is treated pine wood, what is the best stain to use, I want it to keep the grain showing in the wood but I want it to look a brownish color. Look at Armstrong Clark in Natural Oak or Defy Extreme in Butternut. Clean and brighten for the prep.